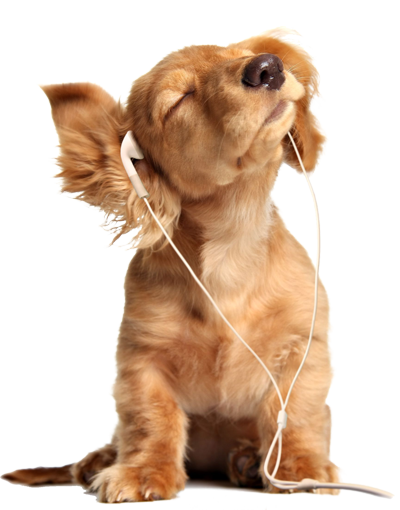 FREE TRAINING FORUM DEVOTED TO YOU & YOUR DOG! We open this “Ask The Trainer" page free of any charge, for you to ask all of your dog questions! Simply contact us using the form below with your questions for Sylvia and send! Once your question is sent, be sure to check back here often as she usually answers promptly. 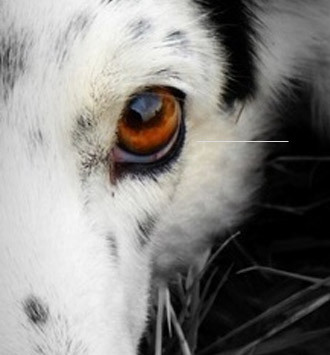 Her guidance and suggestions to help solve your dog training and behaviour issues will be posted here for your reference and so that others may also benefit from the help. Ask The Trainer today! Introducing...Sylvia Currie, MA, BEd, devotes much of her time to learning about dog-human relationships. Her mission is to help caregivers make better choices when interacting with companion animals. 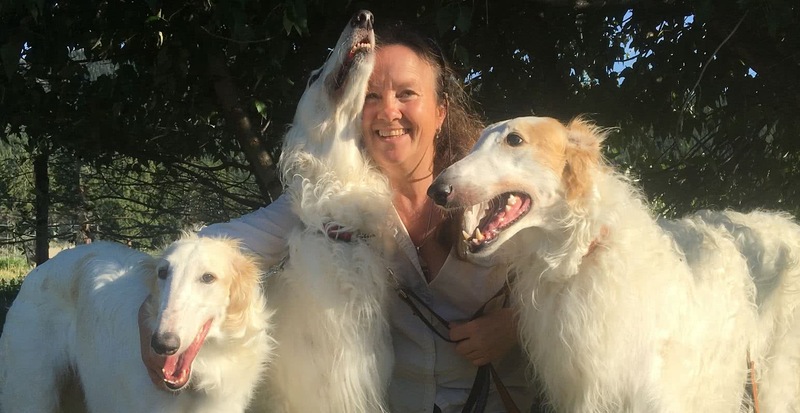 Sylvia is an active member of the Pet Professional Guild, the Association of Professional Dog Trainers, and the International Association of Animal Behaviour Consultants. 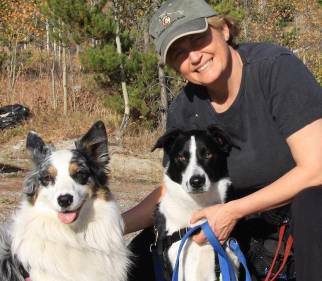 She continues adding to her long list of workshops, conferences and credentials, advancing her understanding of dog behaviour and caring for animals. 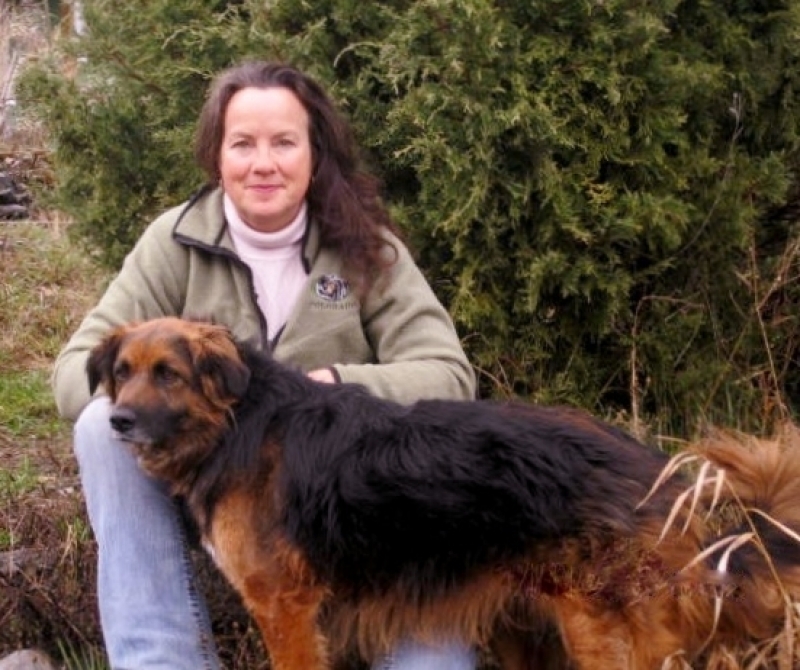 Sylvia loves the challenge of problem-solving dog training issues and welcomes your questions! Please note that prior to Sylvia Currie joining the helpful resources of Harmony Farm Kennel, "ASK THE TRAINER" was offered with the generous contributions of Chris McKay. We invite you to enjoy and benefit by all the archived education previously written here by Chris also. We are very grateful for her devoted time and wish her all the very best as she retires her Cam K9 Services to continue her career at the Kamloops BCSPCA. Learn from dog trainer at Harmony Farm Kennel And Lamb, near Kamloops BC, leash training tips and suggestions to create a well behaved dog that is a pleasure to walk with. 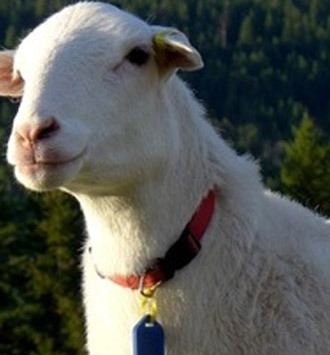 Harmony Farm Kennel And Lamb, located close to Kamloops BC welcomes all dogs including companion pets with aggression issues, meantime here are some training suggestions to help with the problem. 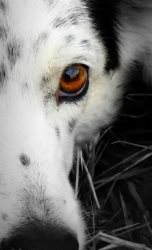 Trainer at Harmony Farm Kennel And Lamb near Kamloops and Vernon BC offers excellent dog training suggestion of personal tethering to help extreme behavior issues with young dog. Old Dog Growls At Grandkids. Should I find Him A New Home?